This guide is a tool to help expecting mother’s plan for their newborn session. Congratulations on your pregnancy! It is an amazing time in your life. You spend your days dreaming of what the new baby will look like and what their personality will be. 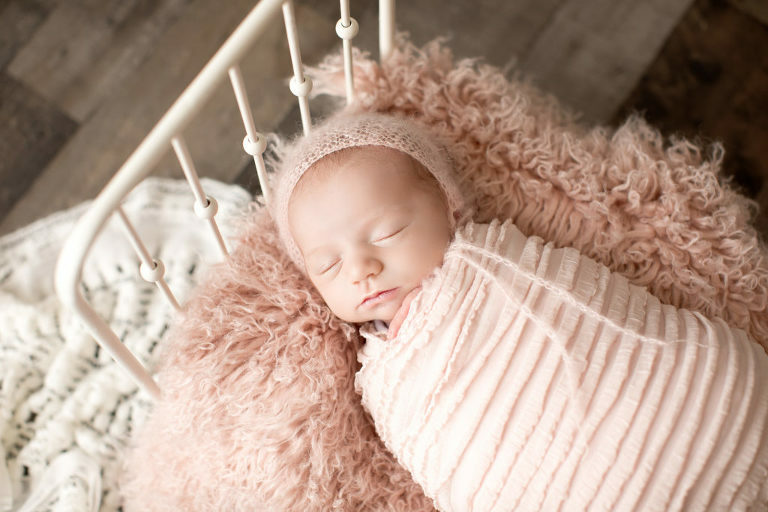 You’ll want to document every precious moment, starting with a newborn portrait session. Below you will get advice, tips, and lots of questions answered on what to expect for the session. When should I book the session? The sooner the better! Most of my clients have me pencil in their due date and message me when they are home and settled. Then we pick a date that works for everyone. Newborn session are best within the first two weeks of life. When babies reach the two week mark or go past their due date they can be restless and more difficult to work with. Newborn sessions are held in my Ellwood City studio Monday, Wednesday, and Friday each week. Session will be held in my Ellwood City studio. I provide all the luxuries and comforts of your own home. I comfortable seating and a children’s play area. I know how hard it is to leave your home with the new baby, so I want to make it a comfortable for you and your family as possible. The perks of using my studio. Baby will usually fall asleep on the car ride and be ready to get pictures immediately upon arrival. I provide the best temperature for newborns. Lighting and space are already set up, and guarantees the right light for the baby. Allows for the use of many more props and backdrops. You get to sit back, relax, and let me do all the work. Feel free to pick up lunch from one of Ellwood’s many restaurants. Click here for list of Ellwood Resources. Well, that depends. I expect a session to last two hours. Sessions are never booked back to back. That gives us more flexibility. Babies guide the session, so we take breaks as they need. It helps to make sure the baby has a full belly and has had a good burp before we get started. I also recommend loose easy removable clothing and a loose diaper. Remove socks as well. The diaper and socks can make lines in the babies precious skin that can be difficult to remove in the editing process. We usually start with the baby wrapped in soft blankets and use different props that we decide upon. Then we work up to the family shots. This all depends on the baby. Some babies start off super sleepy and then in the end are fussy. Others are in the reverse order. We have to be flexible and read the baby’s cues. Most important is for us to keep calm and patient! We will get the shot! What if my baby is born early or late? No worries! Just keep me in the loop. I have experience with preemies, as my own son was born at 33 weeks. He spent 3 weeks in the NICU. We can do newborn pictures when the baby comes home. I also have experience with babies with special needs, so please let me know if you have any concerns. If your baby is born after their due date, I recommend getting into the studio a little sooner as our sleepy baby period may be shortened. What if my baby has jaundice, a rash, baby acne, or flaky skin? This is a very common occurrence with babies. I am experienced with skin retouching for removing red and yellow tones. I strive to keep it as natural as possible. Please make me aware of any birthmarks or any special requests. What should we wear for the family portraits? Keep it simple! I like long sleeve shirts in either black, ivory, or gray. Most shots will be close up, so there’s no reason to worry about the baby weight! I use the most pleasing angles to get the best look for you. Make sure your hair, makeup, and nails are done nicely. Siblings are welcome in the shots as well. Try to coordinate them with the new baby. What props do you recommend? Keep it simple for props! Our main focus is the baby. They are perfect the way they are! I don’t want to distract from their beauty! The most important thing to keep in mind is the safety of the baby. Together we make sure there is a hand on or near the baby at all times. I can remove hands in post processing. Also, keep in mind the baby may not cooperate for all desired shots. It’s best to start with the most important shot. Lastly keep in mind you will have these images for a lifetime. Let’s keep them timeless and tasteful. Two weeks following your shoot we will meet to have a showing of images and ordering session. This will be booked when we pick the session date, that way both dates are in our schedules. The process is super fun, and I love seeing clients reactions to their images. In the end, I help you pick and design products to be enjoyed in your home. 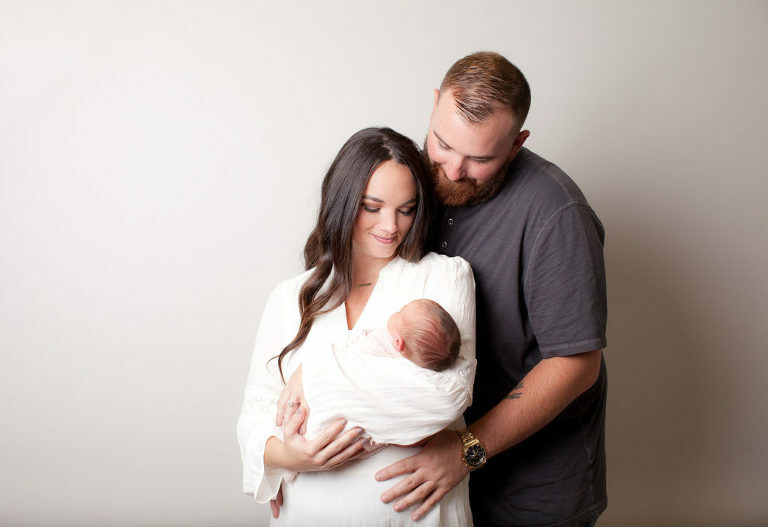 Why should I pick you to take my newborn portraits? I have been taking newborn portraits for several years. I’ve picked up a few tricks along the way! Mostly, I just love being around new babies! They melt my heart! So peaceful, precious, and there is nothing better than seeing the love in the parents eyes. Safety and patience are my key to a successful session.